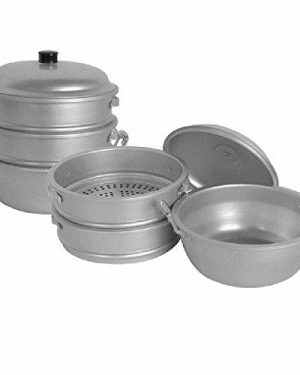 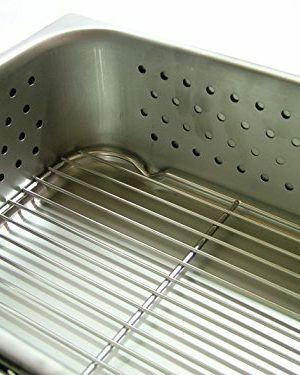 Cooking pot and steam tray are made completely of surgical-grade 304 stainless steel. 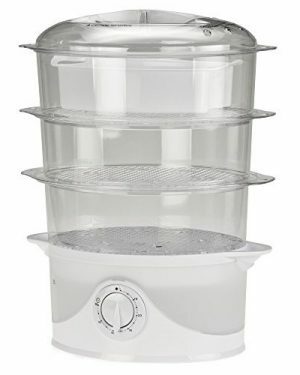 Complete set of four parts, with bottom, two middle perforated stacks, and lid. 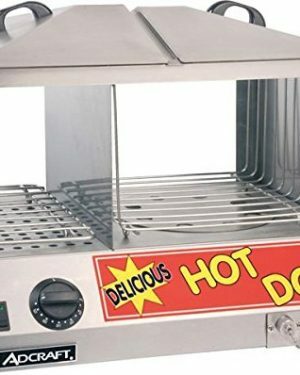 Handles built in all sides of compartments, for safe handling while hot. 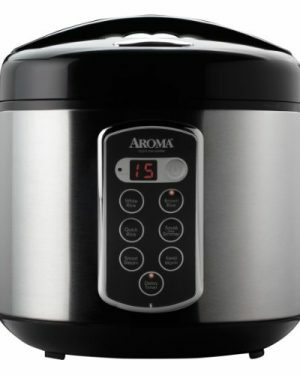 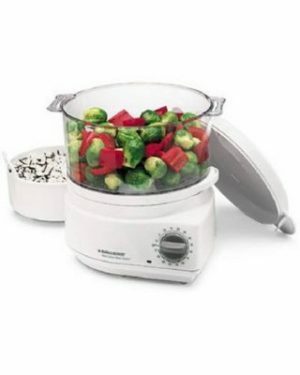 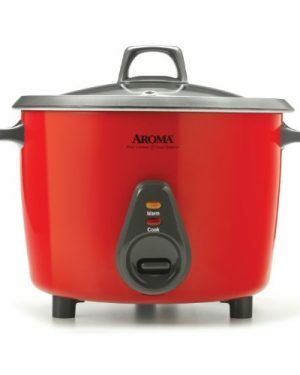 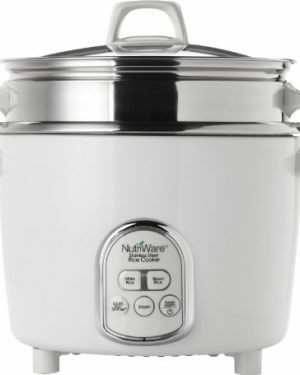 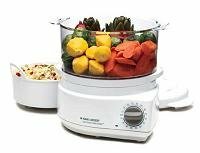 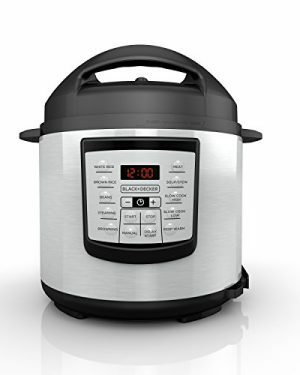 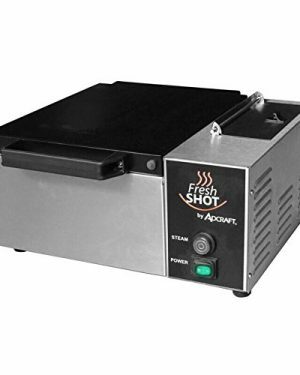 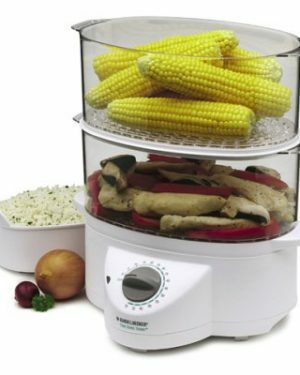 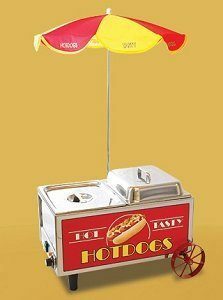 Efficiently steams vegetables and other ingredients. 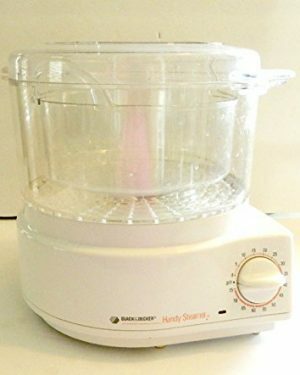 Measures 10-3/8 by 8-4/5 by 10-5/8-inch. 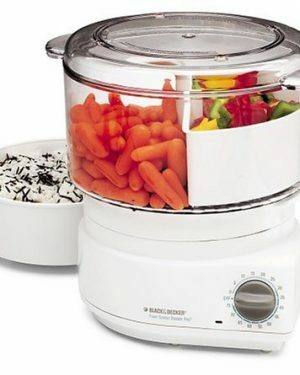 Bonus features: Auto off with signal bell, classic white color. 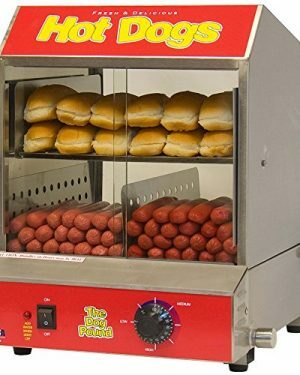 2 qt. 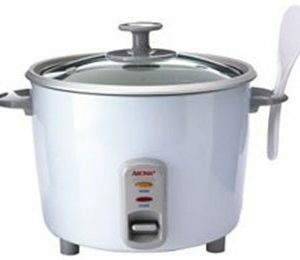 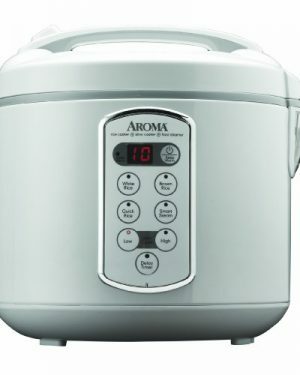 steaming bowl, 4-cup (960 ml) rice bowl. 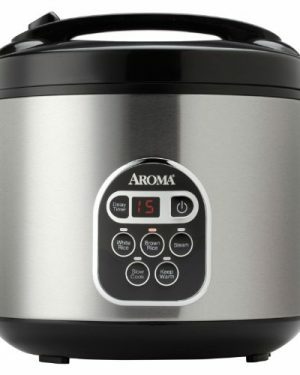 75 minute timer. 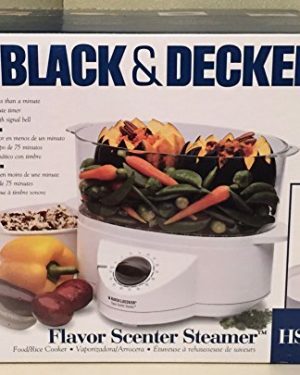 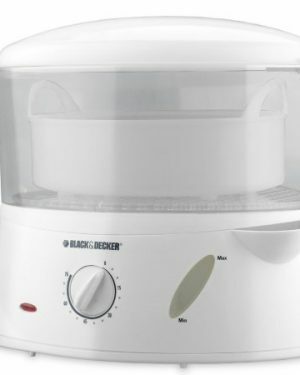 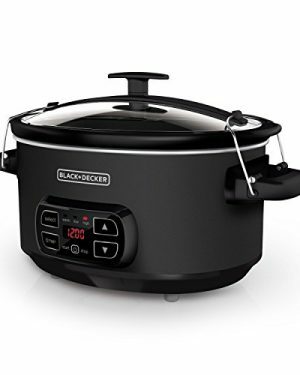 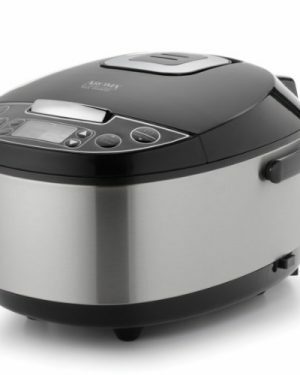 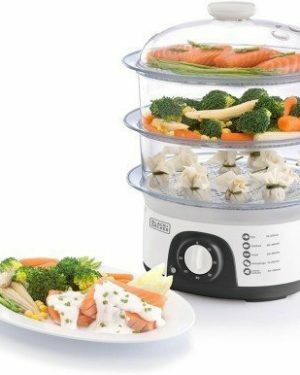 The Black & Decker Food Steamer & Rice Cooker is a pitch perfect way to serve up the finest, tastiest food in record time.